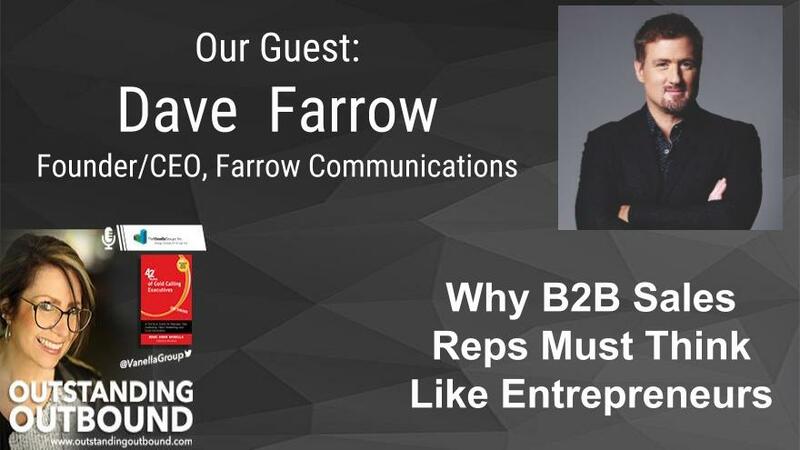 Join host, Mari Anne Vanella on Outstanding Outbound as she welcomes Dan Sixsmith. 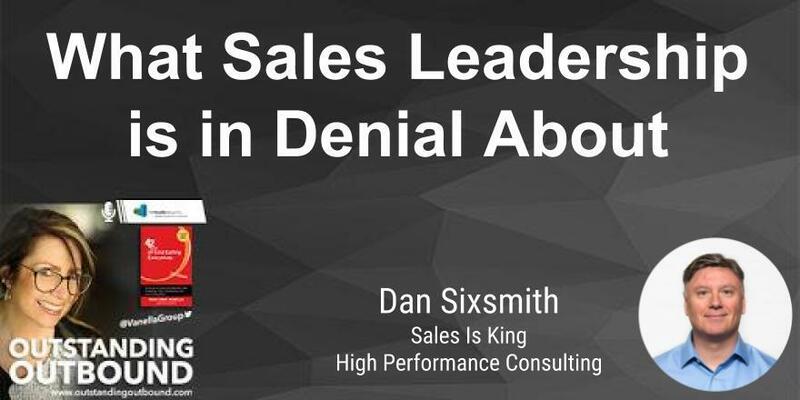 Dan Sixsmith is a well-known Consultant , Speaker, Trainer, Coach and active blogger on the topic of Sales excellence. He works with large global sales teams in addition to individual executives. Recently, he joined the Board and serves as CMO of a non profit organization dedicated to protecting teens from substance abuse and speaks frequently on the subject. 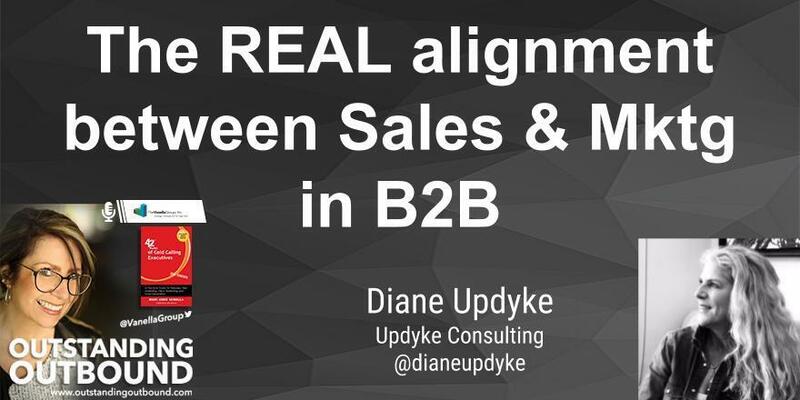 The effectiveness and very presence of Sales Reps in B2B organizations have been challenged dramatically over the past few years. The buying process is becoming automated and buyers have more information than ever before at their disposal. 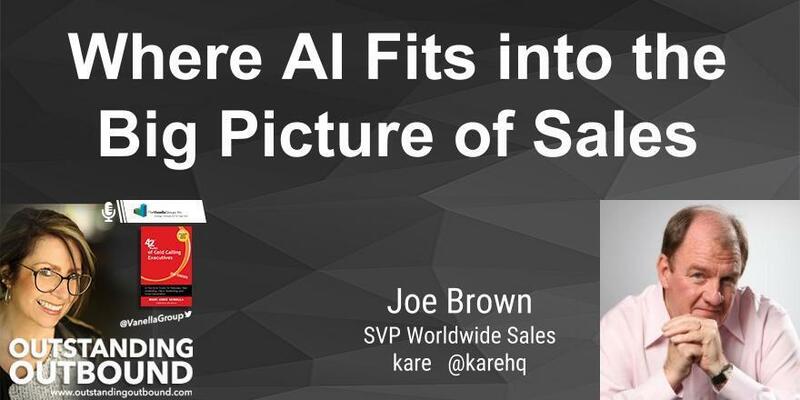 But I am here to tell you that Sales is alive and well but needs to shift its approach. While still leveraging foundational elements such as relationships, follow up and the ability to handle objections and close deals, Sales Execs need to blend in newer skills like consulting, facilitating, building trust and adding value. 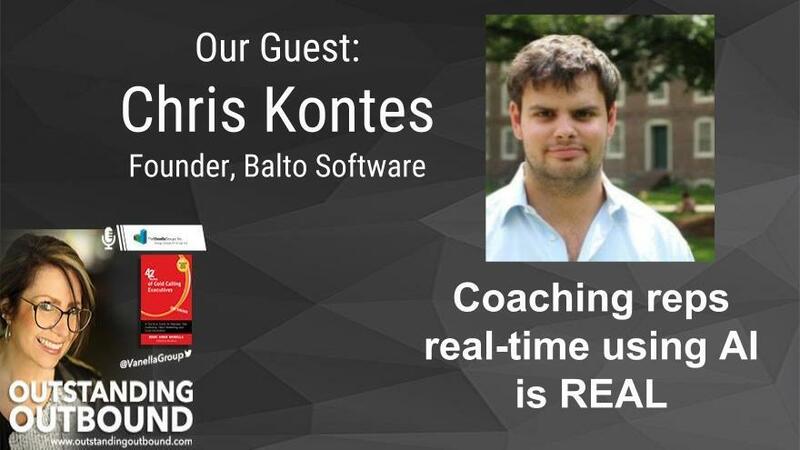 He is the host of the podcast, "Sales Is King" and is a Consultant , Speaker, Trainer, Coach and active blogger on the topic of Sales excellence. He works with large global sales teams in addition to individual executives. Dan also understands the Marketing space and owns the independent agency, Augmento which works with brands and B2B types at the corner of Storytelling and Technology. In the recent past, he joined the Board and serves as CMO of a non profit organization dedicated to protecting teens from substance abuse and speaks frequently on the subject. Welcome to SLMA Radio’s Outstanding Outbound a monthly program with our host, Mari Anne Vanella. Mari Anne is an author and the CEO of the Vanella Group. She has been a frequent guest in the past. Her program will explore the growing field of outbound lead generation for large deals. This program is sponsored by the Vanella Group.